Ortega is a stellar doom metal band from the Netherlands. Their sludge inspired sound is the basis of their new eighteen minute long epic The Serpent Stirs. A miracle of excellent songwriting and powerful riffs that move the listener Ortega prove themselves to be more than capable musicians. While this is a record that may alienate the uninitiated lovers of trve doom metal of the pvrest degree will find Ortega to be a highly enjoyable act. A band who single song EP they can listen to again and again and never get bored. Their is simply so much to digest and appreciate here. It should come as no surprise that these Dutch metallers are as good as they are, they have been practicing together since 2007. This release is another after a handful of solid records the band has made. 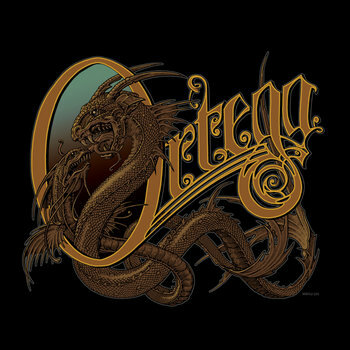 The crushing power and thundering sound of Ortega should appeal to many fans of snobby extreme metal. Primal and beautiful this band has the capacity to make something for the ages.